The warm sunshine of summer is well behind us and now we must face the stark reality of winter and how to combat it. Your flat may not be fully insulated, but that shouldn’t stop you from making it warmer! Opening the curtains when the sun is shining in the morning will warm the air in the house and closing the curtains early before the sun goes down will help retain the heat for longer. In winter months, snakes are your friend. Let me explain—I’m talking about door snakes. These are the long fabric “sausages” that sit under internal and external doors to stop draughts sneaking in and warm air sneaking out. These are easy to make out of rolled spare towels or blankets, or buy from The Warehouse, Briscoes and local supermarkets, who also sell cheap hot water bottles (under $10), which are a great alternative to an electric blanket. 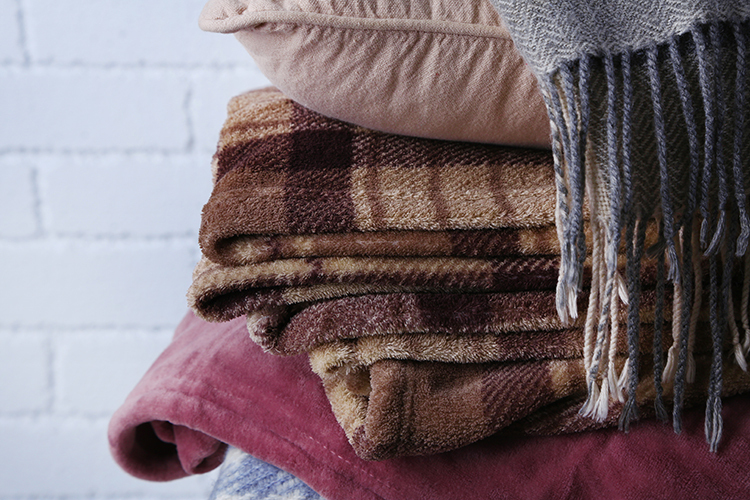 Other ways to keep warm at night are flannel pyjamas, bed socks and multiple layers. Remember, multiple layers will keep you warmer than one thick layer! Tip #2: Know thy heater! Insulation makes heating more efficient and therefore cheaper to run. Heaters vary and it’s important to pick the right one for the space you’re trying to heat. Fan heaters circulate hot air around the room quickly, but they can be expensive and noisy to run. Convection and oil column heaters often have thermostats, which means the heater will stop when it reaches a certain temperature setting which can save energy. Most electric heaters work best when heating up smaller spaces so keep doors closed, activate your door snakes and stay toasty. Living in a home that is cold and damp can affect your health and wellbeing. Spending a little extra time and money on heating and insulation is worth being well enough to concentrate and study during cold, wet periods. Just because it’s winter doesn’t mean you should stop taking care of yourself! If you do feel unwell or need financial support, make use of Victoria’s Student Health services and student financial advisers. Finally, if you’ve been exposed to Wellington’s winds, you’ll know a sturdy raincoat, rather than an umbrella, is the best defence. If your raincoat seems to have “stopped” working, you can purchase re-waterproofing liquid to fix it. For more advice on heating, insulation and energy efficiency, visit Energywise and stay dry out there! Annemieke Hendriks is a Masters by Thesis student of the School of Biological Sciences. Interested in sharing your experience? Read our submission guidelines and get in touch with your story ideas.